Tony Stewart was fastest of the day with a lap of 235.837 miles per hour in the #z20 Menards/Glidden/Quaker State Special. Eliseo Salazar was second at 234.858 in the #7 Cristal/Copec Mobil entry and Roberto Guerrero was third at 234.308 in the #99 WavePhore/Pennzoil Reynard-Ford. Michel Jourdain Jr. turned his fastest lap of the month at 12:07 p.m. today when he posted a circuit at 234.223 miles per hour in the #22 Herdez Quaker State Canels entry. His previous best was 230.698 on Saturday. "I think the weather helped," Jourdain Jr., said. "We weren't trying to go fast. It just happened. It's not windy. It was perfect. 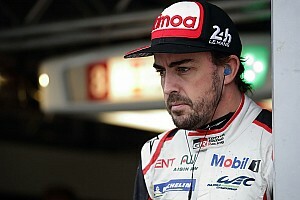 The car is set up for the race and after the fast lap, we did a full-tank run and the lap after (we started) was 229." He said the car is ready for the race. "We'd like to make some other runs," he said, "but if it's an emergency (such as extended rain), we are ready." 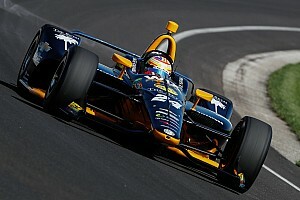 As of today, 16 drivers had exceeded 230 miles per hour in either practice or qualifications. 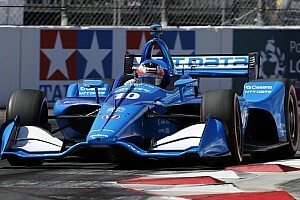 Last year, 13 drivers exceeded 230 in practice and qualifications. 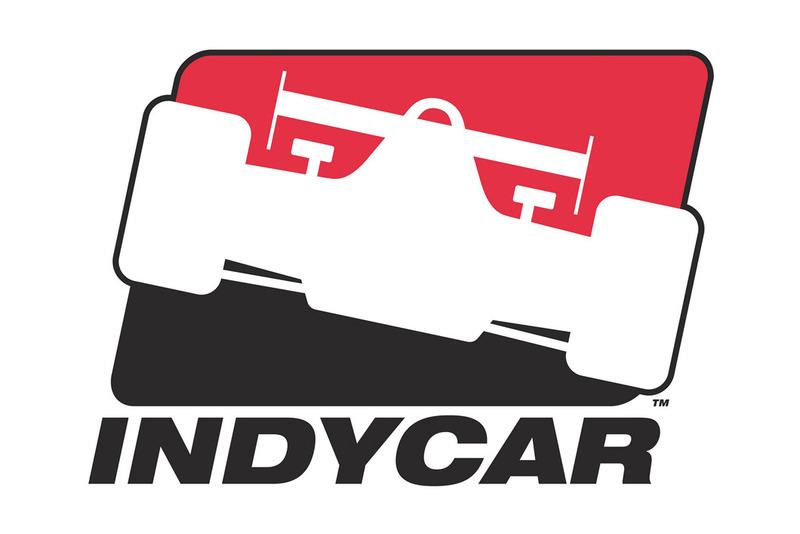 The 16 drivers, as of today, who have exceeded 230 are Arie Luyendyk, Scott Sharp, Buddy Lazier, Roberto Guerrero, Davy Jones, Tony Stewart, Eddie Cheever, Scott Brayton, Buzz Calkins, Richie Hearn, Eliseo Salazar, Mark Dismore, Michele Alboreto, Alessandro Zampedri, Davey Hamilton and Michel Jourdain Jr.
One of today's yellow lights was caused by a chipmunk on the track and two were caused by a persistent mother duck and nine ducklings, who waddled into Turn 1...twice. The Speedway fire crew gently shooed the family along to the Turn 1 creek. "We're getting quite good at herding 'em," said a Speedway fireman who made both "duck calls." Eliseo Salazar was on the track when the ducks caused the first of their yellows. "Actually, I was in the warmup lane when I saw them stopped in the grass," said Salazar. "Then, when I went into Turn 1 and saw them a couple of feet away, I had to swerve to miss them. I'm sure I scared them. They'll probably have to go through therapy for the rest of their lives." Later in the day, Salazar hit his second pigeon of the month in Turn 1. "The bird was in the middle of Turn 1," he said. "The car won the battle. But we missed the big family this morning." John Sernett passed a driver physical Sunday, according to Dr. Henry Bock, Speedway medical director. Mike Fedorcak, Doug Kalitta, Hideshi Matsuda and Jimmy Santos passed physicals today, bringing the totla to 65. Johnny O'Connell became the 15th driver to pass his driver's test today, passing the third, fourth and final phases. Tyce Carlson became the 16th driver to pass his driver's test, passing the observation phase today. Veteran observers for their final phases were Johnny Rutherford, John Paul Jr., Tero Palmroth and Johnny Parsons. Scott Harrington passed the third and fourth phases. Fermin Velez completed the second and third phases of his driver's test. A group of drivers are scheduled to visit Riley Hospital for Children tonight for a race theme party for the hospital's in-patient children, who have made race cars for the occasion. Those scheduled to participate, from the Indy Racing League and other USAC series, are Randy Tolsma, Davey Hamilton, Paul Durant, Tyce Carlson, Brad Marvel, Mike Mosley Jr., Bill Puterbaugh Jr., Bill Rose, Brian Hayden, Mark Cassella, Dave Darland, Ted Hines, Kenneth Nichols, Tracy Hines, Russ Gamester and Andy Pierce. A total of 87 percent of respondents surveyed during Pole Day felt the IRL was doing a good job of providing young drivers a chance to showcase their talent, according to results of the survey conducted by the Behavior Research Center of Phoenix, Ariz. The polling group interviewed 550 spectators in attendance Saturday. For driver popularity, the top three were Arie Luyendyk (42%), Tony Stewart (35%) and Scott Brayton (13%). The new ABF Motorsports team, for which Paul Durant qualified Sunday, has a short, but unique history. Art Bouilliane is a co-owner of the team with Canadian Bill Warner. On the car, in half-inch letters, are the words, "In Memory of Casey Holbert." Casey Holbert of Fairview, Ill., was 13 when she died of a heart defect. Casey and Bouilliane's daughter, Amber, were both born in Riley Children's Hospital at nearly the same time and the families became friends. "The team was founded in memory of Casey when she died in February," said Susan Bouilliane, Art's wife. "We're doing this for her and all terminally ill children." Mike Groff had an engine failure in the #60 Valvoline/Cummins/Craftsman Special. "We did manage to scrub a few sets of tires this morning before we had our problem," said engineer Rob Edwards. "We got in a massive 12 laps today." The 37th annual Race Drivers Golf Tournament is scheduled for a shotgun start at 10 a.m. Monday at Brickyard Crossing Golf Course. 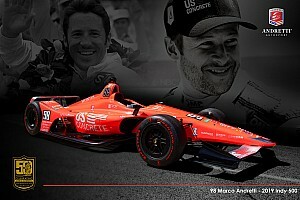 There are still openings for the public, who'll be teamed up with current and retired drivers from the Indianapolis 500. For information, contact the Brickyard Crossing Pro Shop at 317/484-6572. 16 cars were on the track today, running 488 laps. Cars on track today: #7 Salazar; #8 Zampedri; #15 Gosek; #21 Guerrero; #22 Jourdain Jr.; #23 Stewart; #33 Alboreto; #34 Salazar; #36 Carlson; #39 Harrington; #43 Velez; #44 Hearn; #60 Groff; #64 Unser; #75 O'Connell, #99 Guerrero. A total of 47 cars are now at the Speedway, 43 have passed technical inspection and none are in the process. 35 drivers have been on the track to date. There were 14 yellows for 1 hour, 51 minutes. Temperature at 1 p.m. was 53 degrees with winds out of the south at 3 mph. Temperature at 5:50 p.m. was 54 degrees with winds out of the south at 3 mph.Track temperatures from Goodyear tire engineers were 75 degrees at 9:30 a.m., 90 degrees at Noon and 72 degrees at 4 p.m.